Great cocktails bars in Vienna are not difficult to find. However, finding the right spot to relax, have fun, a great ambiance and decent pricing is not so easy. That’s why today I am sharing with you my favourite spots. The Sign Lounge has a leather bound menu book (YES A BOOK) with artistic and creative cocktails. Over 100 cocktail creations to choose from and is amazing for a night out with friends. If the weather is nice, you have the options of sitting out on the upper deck terrace. enjoy the breeze with a view over the Donaukanal. Make sure you have table reservations! Very rarely will you find a place to sit here without. Huge range of drinks and cocktails.A little on the loud side. Fun when having drinks with a group of friends. The staff is relaxed and easy going. This bar has tasty cocktails that a reasonably priced. A place for drinks with very intensive flavours. Located in the building which was formerly the bank Austria, the cocktails are inspired by the Austrian schilling and other old European currencies. Barrel-aged cocktailsare drinks that mature for up to seven weeks in a cask before being poured straight into your glass! Now how’s that for creativity? Located in the Hotel InterContinental Vienna has a nice quiet bar feel. It is never too full and a place to sit to relax for after work drinks. You can hear the Piano playing in the background, softly enough to still enjoy good relaxed conversation. 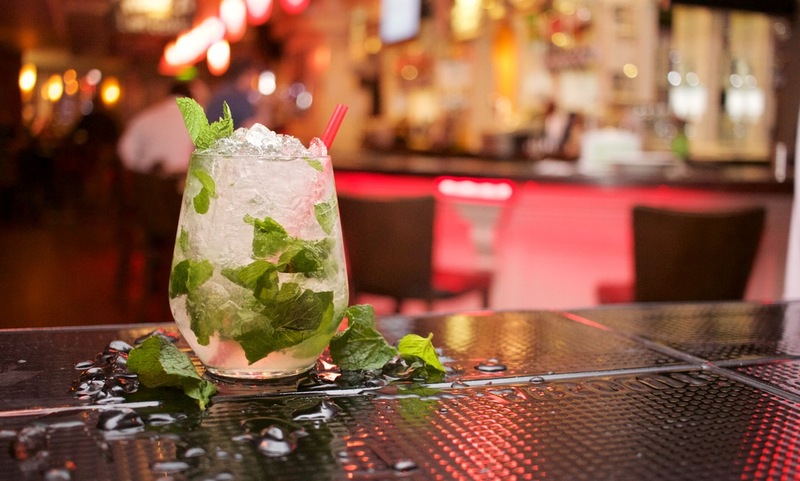 No matter which of these great bars you choose to visit, you will have a great time! They all serve wonderful and fantastic drinks, not overpriced, and the company and ambiance will leave you wanting to come back! Find any other great cocktail bars in Vienna you think I should add to my list? Want to save this for later? Pin this post. Also, if you would like to find these locations using the GPSmyCity app, you can take my articles with you. Download the app for free with the link and enjoy your own personal walking tour guide to take you to the various locations. Let me know how much fun you had in the comments section below. I love those pictures! as a bartender i can appreciated the deal. Looks like Vienna has some awesome cockatail bars! The Bank Bar sounds awesome being the former bank of Austria. I love converted buildings. They have a restaurant like that in Kilkenny Ireland and it truly was amazing and full of character. Again, I wish I had access to your blog, before I went to Vienna. But no worries, I will go back again. Loved every nook and corner of Vienna. You are so lucky you live there. If you ever feel like visiting SFO, let me know and I will give the secrets on exploring this beautiful city.